the red thread: Enjoy your easter break! It's a glorious day here in Sydney... I hope its the same where you are. Perfect weather for a few days off. this is the sweetest little bunny - from Freedom. Don't forget the fabulous Freedom giveaway ends tonight - don't miss out on your chance to win a $500 or $250 voucher to spend at a Freedom store. 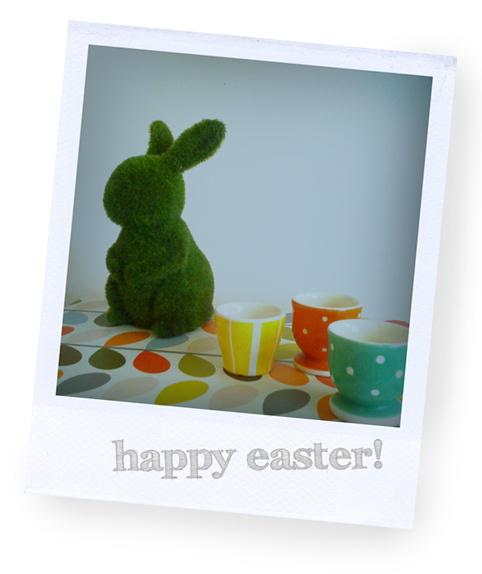 Enjoy your Easter and the chocolate!